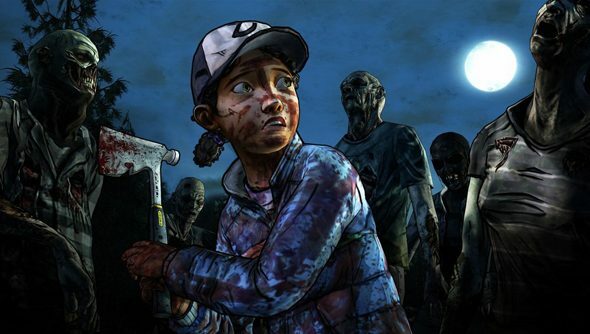 Update: Take a gander at our The Walking Dead Season 2: Amid the Ruins PC review. The penultimate episode of The Walking Dead Season 2 – Amid the Ruins – will release on Steam next Tuesday, July 22nd. Tensions begin to boil as things draw close to the inevitably distressing and emotional finale, and you can catch a glimpse of what horrors are to come in this new trailer. As ever with The Walking Dead news stories, the trailer and following words contain spoilers for the current season. Things certainly look to be falling apart, with The Walking Dead’s mandatory doom and gloom hanging thick over the footage. It looks like this could be a much more psychologically-focussed episode too, looking at the breaking morale of the group after their escape from Carver’s prison community. Kenny is certainly going through the worst patch he’s had to endure since the horrors of Season 1, and the constant grimness of the world certainly seems to be eroding Clem even further. We’ve been great fans of The Walking Dead Season 2 here at PCGN, with Fraser praising the series heavily in his reviews, commenting how it’s driven him to the bottle (in the best possible way).